It goes without saying that pre-cut veggies and fruits are going to be more expensive. But how much more? You have to be living in a cave not to know the importance of vegetables and fruit in a healthy diet. All those vitamins, fibre, antioxidants, and immune boosters. And grocery stores are making them extra enticing. They'll cut up your food into little pieces, wrap it up all pretty. Heck, they'd probably chew it for you if you paid them enough. I went shopping, got out my kitchen scales, a sharp knife, (a few Band-Aids…) and went to work. Happy Cheapskate: Just how much wine do you get at a restaurant? Broccoli and cauliflower cut up in the Happy Cheapskate kitchen. (Nancy Walsh/CBC)First, a pre-cut package of mixed broccoli and cauliflower cost $3.88, and weighed 250 grams. So, about $1.55 for 100 grams. An entire cauliflower and broccoli, cut up with stems removed, cost $9 and weighed 730 grams. So, $1.11 for 100 grams. You pay 40 per cent more to get those veggies cut up. Now how about baby carrots? I always liked those little guys. They're made out of malformed regular carrots, shaved and shaped into something much cuter and palatable to us consumers. I'm glad someone found a good use for them instead of throwing them in the garbage. But what do they cost compared to real carrots? Baby carrots. 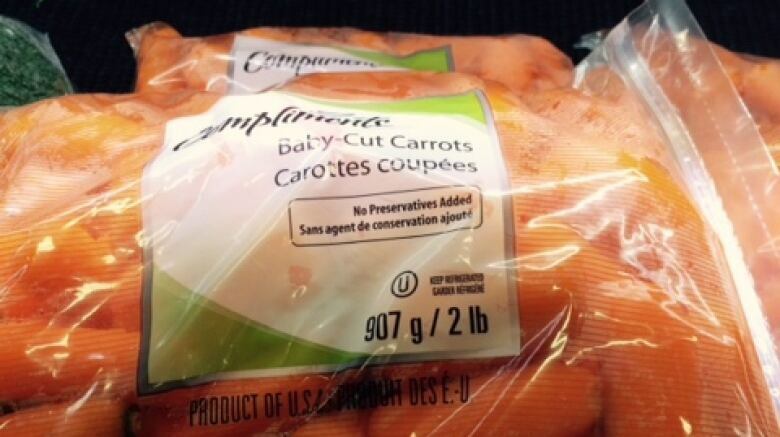 (Nancy Walsh/CBC)I got a two-pound bag of those baby cut carrots for $3.69, or $1.85 pound. A two-pound bag of regular carrots cost $2.89, or $1.45 a pound. Now a goodly part of those carrots — the peel — probably winds up in the garbage or compost. So those baby carrots could well be worth the cost of convenience. And here's one weird thing about the economies of scale. The bigger the tray of pre-cut veggies you buy, the cheaper they seem to be. A big tray of 766 grams cost only $7.58. That's about $1 for 100 grams, and close to the price as if you bought them whole and cut them up yourself. A very good deal. 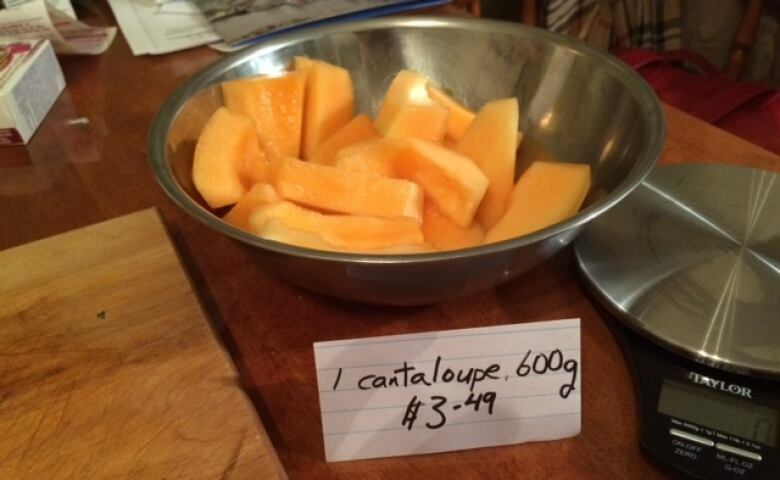 A full cantaloupe costs $4 and yields 600 grams of fruit. That $0.66 for 100 grams. 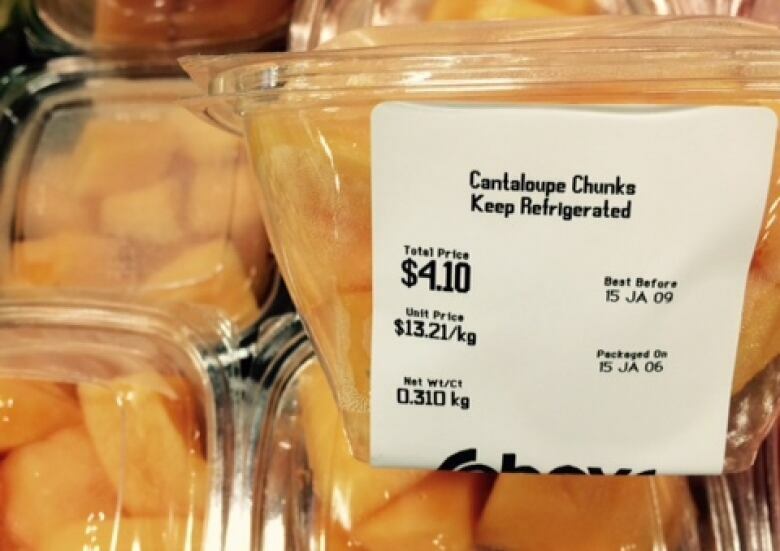 A pre-cut pack of cantaloupe weighing 310 grams cost $4.10. That's $1.32 for 100 grams. So, you pay the cost of this fruit to have someone cut up the fruit. Hmmmm. One golden pineapple cost $5 and gave me 755 grams of delicious flesh fruit. That's $0.66 for 100 grams. 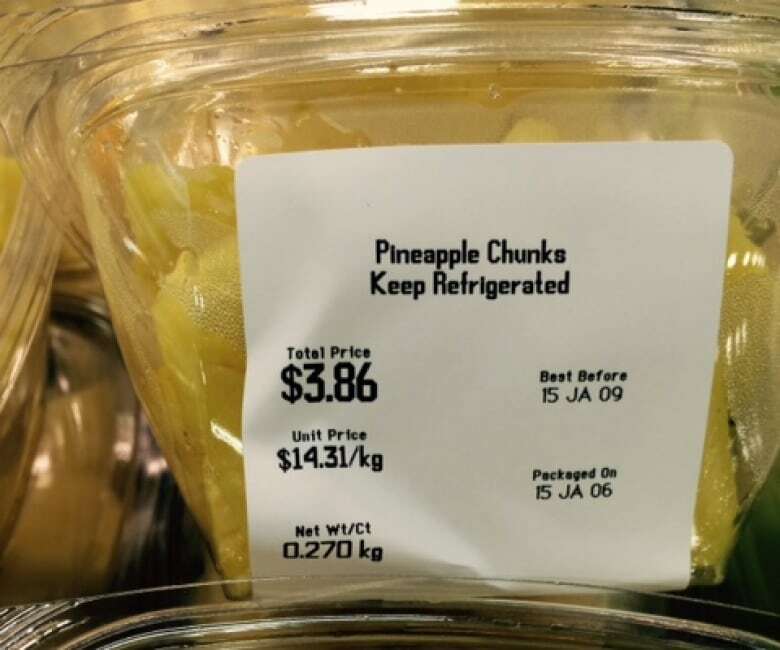 Cut and packaged pineapple at $3.86 had 270 grams. That's $1.40 for 100 grams — more than twice as much. Pineapple in package, 270 grams. (Nancy Walsh/CBC)It comes as no surprise that pre-cut fruits and vegetables are going to be more expensive. If you have money to spare, no free time whatsoever, and buying them pre-cut is the only way you'll ever eat them, have at it! For me, though, the cost of this convenience is just not worth it. Nancy Walsh is the morning news anchor for CBC Radio One in Newfoundland and Labrador. Her colum, the Happy Cheapskate, airs every second Wednesday on the St. John's Morning Show.